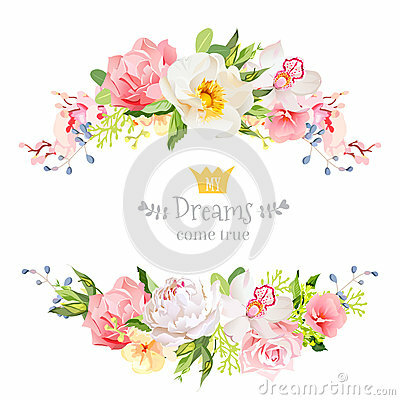 Lovely wishes floral vector design frame. Wild rose, peony, orchid, hydrangea, pink and yellow flowers. Floral banner stripe elements.